Hi Everyone and HAPPY SPRING! I live in Michigan so it's not over till its over, but hopefully, winter is over! So let's get ready for it! I'm kicking off Easter cards here today with a basic spring card that you could stamp any sentiment under. I started with some ink blending. I used a piece of post it tape to mark off the "ground" to do a very light wash of green color with with distress ink. After that I removed the tape and used a cloud stencil and more distress ink to create my cloud background. 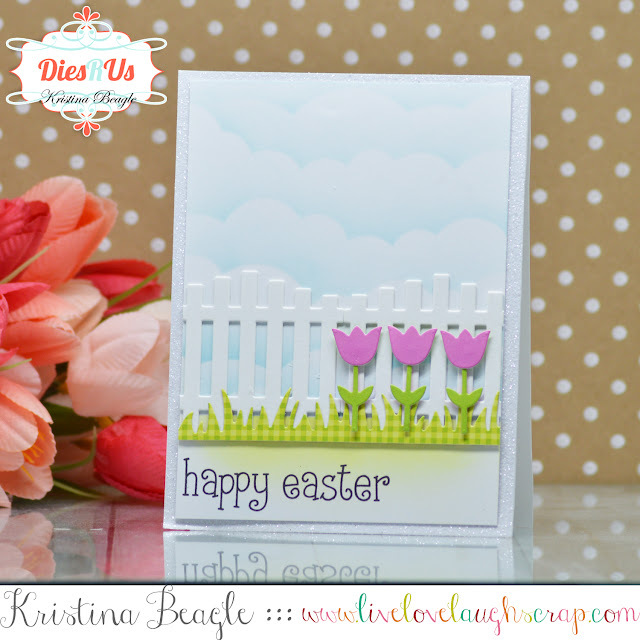 I die cut the white fence from the Elizabeth Craft Designs Nantucket Arbor die set. To add a little interested I used pattern paper to cut the Lawn Fawn Grassy Border out. And lastly some bright spring card stock for my tulips. I adhered all those down and trimmed the excess off to create a 4x5.25 panel which I adhered down onto some glitter card stock. 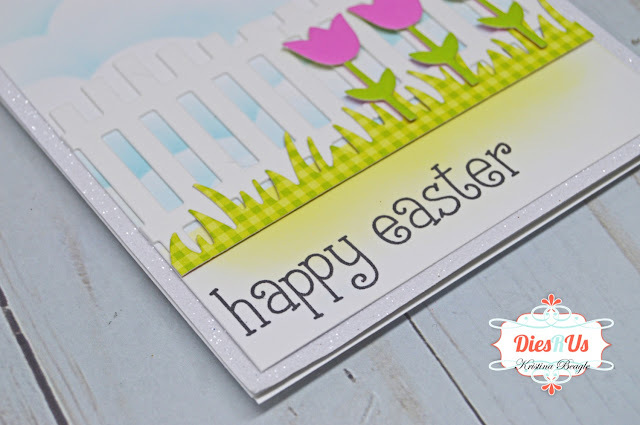 My sentiment comes from a Lawn Fawn easter card, and was stamped down on top of everything in a crisp black ink. And there you have it, enjoy your first week of Spring! Oh how sweet! What a beautiful scene you have created Kristina! Wonderful spring time inspiration ... thanks! 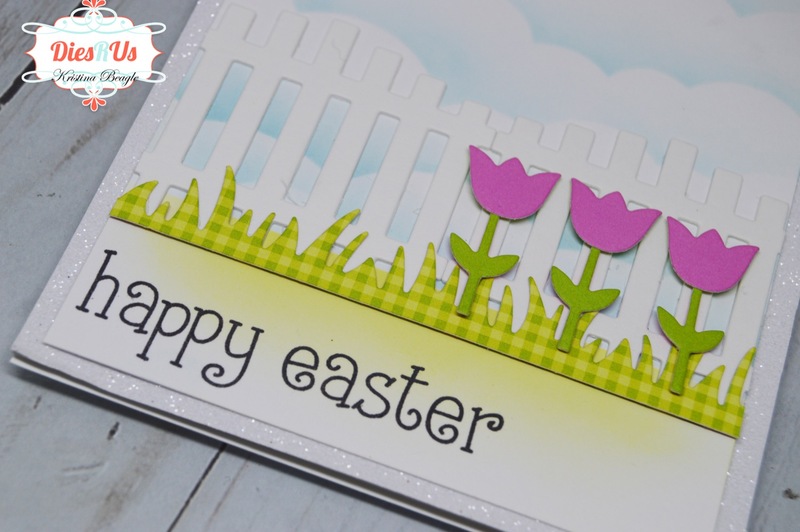 What a pretty spring card! 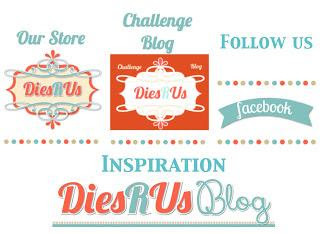 Love the scene you've created! What a great Easter card.